We now provide AccessMedicine accounts (including username and password) to access online AccessMedicine witihin 3 years (the expired date is 31/12/2021) with only $120. You can use it on both your computer and your mobile device. Step 2: Enter the amount $120. Step 5: Click “Buy Now” button, and finish the payment with your Credit Cards/Debit Cards. 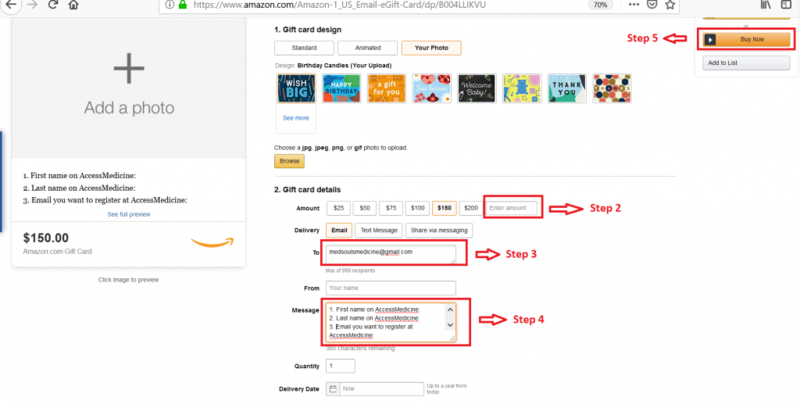 After we receive your egiftcard via our email, we will create and send you the information of your AccessMedicine account (username and password) via your email you write in step 4 within some hours. Hi this account is to access directly website https://accessmedicine.mhmedical.com and app on mobile. Do you offer Case Files subscription? Yes we have, contact us via our email medsoulsmedicine@gmail.com, we will give you more information. Can i download the vidoes and audios of accessmedicine if I have pay your subscription? Please check your email and feedback to us.